Self-Hosting your Blog - "Beginner’s Guide" - What's Katie Up To ? In my “Beginner’s Guide to Self-hosting your Blog”, I am teaching you to start or transfer your Blog to being self-hosted! Plus, the secret of why your Blog needs to be self-hosted to make money! Let me help you to set this up in only 7min and to start monetizing your Blog immediately after. But, let me address one worry I hear all the time first! 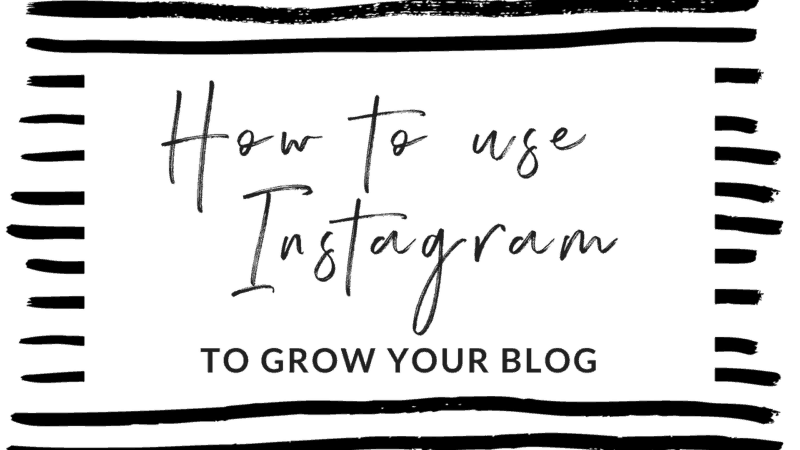 -> It doesn’t matter if you already created your Blog on another free platform. We can easily move your Blog! Nothing of the work you have already put in will be lost! On another note, YES self-hosting means spending a little money to actually make money from your Blog! But I assure you it can be as little as $3.95 a month. So, are we ready to do this?!? Here is a quick Table of Content, if you want to jump ahead to a specific topic! What does self-hosting your Blog mean? Things you can only do if you are self-hosting your Blog! You already have a Blog + want to transfer it to self-hosting (BLOG TRANSFER – YOU DON’T LOOSE ANY POSTS OR DATA). 1. What does self-hosting your Blog mean? Imagine renting an apartment! You live there but you don’t own the apartment, it belongs to someone else. Now a host for a blog is similar to an apartment. It is where your Blog lives on the Internet (where all the data is stored). You can either rent or buy the space for your Blog. Starting a free blog on a platform such as Blogger or wordpress.com will mean you RENT the space. Self-hosting on the other hand such as Bluehost on WordPress.org means you actually OWN your Blog (apartment) space. Does that make sense? Shoot me a comment if not :)Now you can imagine, there comes a lot of benefits with owning your Blog. Create an AdSense account to make money from ads on your Website. Using Email Marketing to grow a list of subscribers can be matchmaking for a business. You will want to communicate with your audience and may even sell your product to them. Read all about how to start your own subscriber list with email marketing here. You will want to optimize your Blog for SEO. This is super important for people to find you on Google and other search engines! Adding an E-Commerce Store to your Website can be a great way to sell your own or other people’s products online and make money from your Blog! Plugins are little programs which add additional functionality to your Blog. You can find a list of Plugins I recommend for your Blog in our Free Resource Library. Access it here. Google Analytics is a powerful tool to check where for example your traffic is coming from, how long people stay on your website, which posts are performing the best and so much more. Sounds great, we need that right!? Start Here Now. Before we head into the step by step Guide of how you can set up self-hosting for your Blog, I want to quickly dig into the topic of Hosting vs. Domain first. I know it confuses a lot of people! Blog Hosting is your apartment so where your Blog is stored and saved. Blog Domain is the address of your apartment meaning your Blog address/URL. Now as an example you may have started your free Blog on wordpress.com. This means you don’t own your Blog and it’s not self-hosted. Furthermore, it forces you to have a Blog Domain/URL such as johnsmith.wordpress.com. When you are self-hosting your Blog, you will be able to create a CUSTOM URL. In our example above this would then be simply johnsmith.com. OK, so what does this mean for you? If you are self-hosting, you will also have to buy a domain name! So, 1. Buying the hosting 2. Buying the domain. As we will see in the next section MOST HOSTING PROVIDER SUCH AS BLUEHOST GIVE YOU A FREE DOMAIN WHEN YOU BUY YOUR HOSTING. So, as I have mentioned in the very beginning, you will be able to buy Hosting + a Domain for only about $3.95 a month! Ps. If you are struggling with this technical stuff or freaked out about how to set up your Blog and grow it into a business check out my Bloggy Badass Online Course for Beginner Bloggers. It teaches you everything from setting up a Blog to creating an Email List, a little bit of HTML coding and how to stay out of legal trouble + being GDPR compliant! You think that’s what I need then great! Let me now help you self-hosting your Blog in a couple of easy steps! In this setup Guide, I want to show you how to start a self-hosting Blog or move a Blog you already created to being self-hosted. My favorite Blog Platform is WordPress and the most hosting service is Bluehost. Start by Clicking <<<HERE>>> and follow the instructions below! I suggest to de-select any other services as it will cost you more. However, for example, site security can be a feature which can make sense to have. Pro Tips: Look out for Promotions! As you can see above, you can get hosting + domain for up to $2.75 which is CRAZY! Start your Blog HERE! You will be spending only a little time on Bluehost after setting it up. WordPress will be your main blog management tool. Let me know if you have additional questions on how to use WordPress or check out my Bloggy Badass Online Course for Beginner Blogger. In my course, I teach you exactly where to click and how to use WordPress in Video Tutorials! Enroll Here! B. You already have a Blog + want to transfer it to self-hosting (BLOG TRANSFER – YOU DON’T LOOSE ANY POSTS OR DATA). In this example, I am showing you how to move a wordpress.com Blog to wordpress.org on Bluehost. However, you can also move your Blog if you use another provider such as from Blogger. Find moving instructions for Blogger here. Ok, let’s migrate your wordpress.com Blog Information to self-hosting your Blog on Bluehost. This process saves an XML file on your computer with all the information from the Blog you build. We will use this file later to transfer your work onto your new self-hosted Blog. Log in to your new WordPress Site (you can also log into your Bluehost Dashboard and then access your new Blog from there). On the new Screen upload your XML file from Step 1. Press “Choose File”. You don’t want to confuse people why there are suddenly two Blogs with the same content floating around right?! That’s why we want to set our old Blog to private and work on the website where we are now self-hosting our Blog! Maybe you have already grown a loyal audience who might visit your old Blog on a regular basis and we do not want them to be confused or lose them as potential customers. That why we want to redirect the traffic from your old Blog to your new Blog and this is actually not that complicated! However, it will cost you about $13 a year. Hence, I suggest you only do this if you already have a decent amount of followers! All done, you are good to go! Additionally, here is a good “How to start a Blog Guide” on my site which is going into more detail of WHAT TO DO NEXT once you have created or moved to self-hosting your Blog! And if you are looking to start monetizing your Blog right away head over to this post on How to make money from your Blog right away! I hope this post answered all of your questions! If not or if you would love to chat LEAVE ME A COMMENT DOWN BELOW! Take Action Now and start building your Blog Today. CREATE YOUR SELF-HOSTED BLOG HERE!